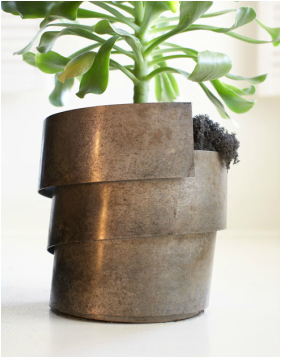 Rolled steel planter sleeves, in a shape evocative of a certain museum in Manhattan. 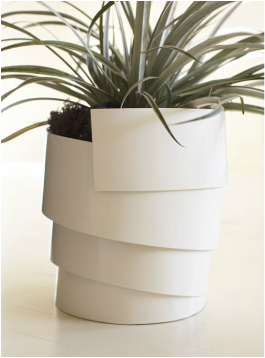 Available in three sizes, to fit #2, #5, or #15 planter pots. The #2 size is 12" high, the #5 is 17" high, and the #15 is 30" high. 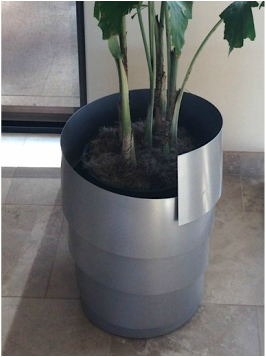 Available in powder coated finishes and in silver nitrite patina.